Are environmental transitions more prone to biological invasions? Can we predict butterfly diversity along an elevation gradient from space? Holzapfel, Claus, Levin, Noam, Hatzofe, Ohad and Kark, Salit (2006) Colonisation of the Middle East by the invasive Common Myna Acridotheres tristis L., with special reference to Israel. Sandgrouse, 28 1: 44-51. Price, Bronwyn, McAlpine, Clive, Phinn, Stuart, Kutt, Alex, Pullar, David and Levin, Noam (2007). Beyond discrete boundaries in Australian savannas: avian response to continuous versus discrete models of landscape structure. In: Proceedings of the Ecological Society of Australia Annual Conference 2007. 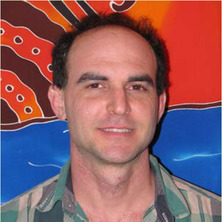 Adapting to Change: Ecological Society of Australia Annual Conference 2007, Perth, Australia, (). 25 - 30 November 2007. Levin, N., McAlpine, C., Phinn, S., Price, B., Pullar, D., Law, B. S. and Kavanagh, R. P. (2007). Moving from discrete to continuous landscape metrics using remote sensing: The ecological significance of paddock trees for bird richness. In: Les Oxley and Don Kulasiri, International Congress on Modelling and Simulation. MODSIM 2007, Christchurch, New Zealand, (1342-1348). 10 -13 December 2007.